Growing up = weird. Freaking yourself out? These books will help you make sense of you. 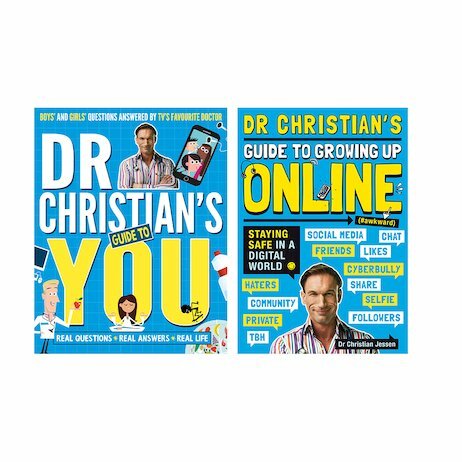 TV expert Dr Christian takes the grrr out of growing up with his upbeat and colourful guides to making sense of it all. Your body. Your feelings. Your weight. Your mental health. Every aspect of your life – even online! Best of all, no question is too weird for TV’s Embarrassing Bodies expert. He’s seen it all, and here’s the lowdown!